Guest Post by Rachel Tiemeyer, Co-author of ThrivingHomeBlog.com on Sep 3, 2014. Originally posted on takethemameal.com. After years of freezer meal cooking and taking meals to others in need, I’ve found that these 10 recipes work the best to freeze and give away. If you’re unsure of what freezer meal cooking is or want some more guidance, be sure to check out Freezer Meal Cooking 101. The 10 meals I’m sharing with you today are easy to warm up, delicious and family-friendly. They have been well-tested in our home and by many others. Be sure to include directions on the top for the recipients, so they know how to prepare it (i.e. “Thaw in the fridge and bake at 350 degrees for 20 minutes.”). 1. Baked Beef Ravioli – This recipe is one that my Freezer Club has been making for years. I don’t know a man, woman or child alive who wouldn’t like this fake-out lasagna. To make into a freezer meal: Put the casserole together and then freeze before baking. 2. Burrito Pie – Refried beans, taco meat, veggies, and sauce are layered between whole wheat tortillas for a hearty and tasty meal for the entire family. Burrito Pie is one of those comfort meals that it’s hard to stop on. To make into a freezer meal: Put the casserole together and then freeze before baking. 3. Cheesy Chicken and Black Bean Enchiladas – Here’s my husband’s and my favorite enchilada recipe. Serve with a nice side salad and some chips and guacamole for a delightful Mexican meal. To make into a freezer meal: Put the casserole together and then freeze before baking. 4. Chicken Parmesan Casserole – Use up leftover chicken in this easy and delicious casserole. My family loves this simple comfort-food recipe served over any kind of pasta or just by itself. To make into a freezer meal: Put the casserole together and then freeze before baking. 5. Mini Chicken Burgers with Herbs – My kids go gah-gah over these! To make into a freezer meal: Package the uncooked breaded burger patties in a freezer bag between layers of wax paper. Separately package cheese slices and some mini buns or dinner rolls, which can be frozen as well. The recipient will have to cook these on the stove for about 4 minutes per side, but they are assured a kid-friendly meal that night. Soups are some of the easiest freezer meals for others. They thaw easily and quickly warm up on the stove. Sometimes I just plop the entire frozen square of soup into a pot, set it on low, and walk away. Within 20-30 minutes, it’s ready to go. Provide a frozen baguette or dinner rolls to serve along side. Here are three of my absolute favorite soups to make and freeze. 6. Mexican Soup – It doesn’t get easier than Mexican Soup when cooking in large batches. Perfect for a hearty winter meal. Corn bread goes well with this one. To make into a freezer meal: Fully cook, cool and freeze. When ready to cook, thaw and warm up on the stove. 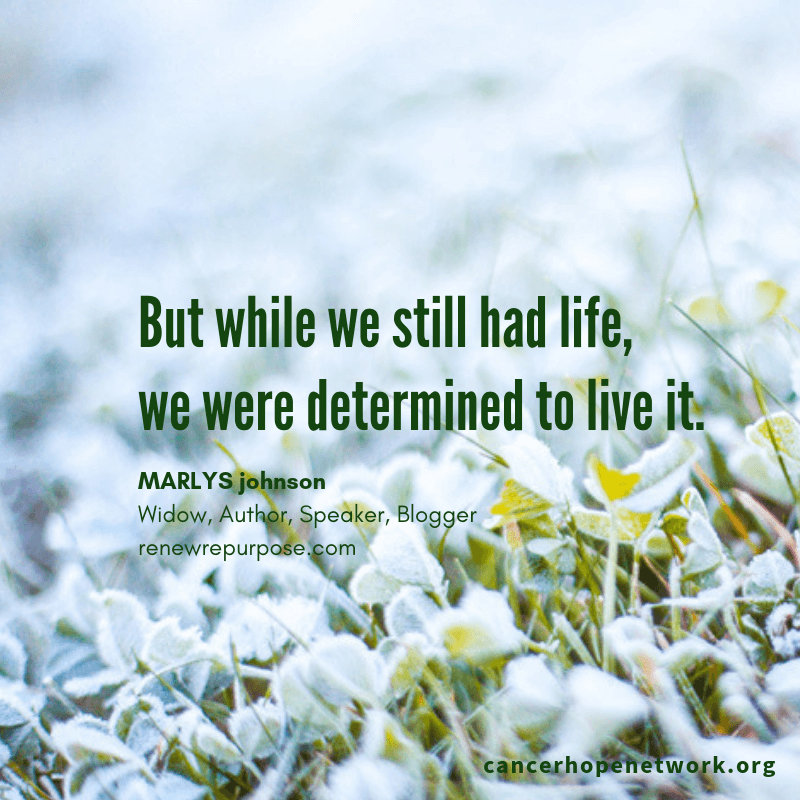 Stories of Hope – Why Tenacity matters in the face of cancer (click to read). 7. Italian Sausage and Tortellini Soup – This is my kids’ favorite soup. When you give this soup to someone, give them the frozen soup and a bag of frozen tortellini to add. To make into a freezer meal: Fully cook soup except do NOT add the tortellini. Cool and freeze soup. When ready to cook, thaw the soup and bring to a simmer on the stove. Add frozen tortellini and simmer until done, according to package directions. 8. Tomato Bisque (Panera Bread Fake-Out Soup) – This soup is so full of flavor and veggies! It reheats exceptionally well, even with the half-and-half in it. I’ve made this more times than I can count. To make into a freezer meal: Fully cook, cool and freeze. When ready to eat, thaw and warm on the stove. You could include a bag of shredded Parmesan cheese and a bag of croutons for garnish. Lastly, don’t forget that a pre-made breakfast can be a huge help to those in need, too. There are so many great breakfast muffins, pancakes, waffles, and more that freeze and can be warmed up for an quick and filling meal. Here are two of our favorite freezable breakfast foods. 9. Brownie Baked Oatmeal – I make this once a week for my family, and it never seems to get old. Yes, it has the word brownie in it, but it’s full of good-for-you nutrition to start the day. To make into a freezer meal: Put casserole together and freeze before baking. When ready to eat, thaw and bake according to directions. 10. Savory Breakfast Muffins – This is my husband’s favorite grab-and-go breakfast. Hearty, delicious, and quick to warm up. To make into freezer meal: Bake muffins and let cool completely. Then put in a freezer bag and into the freezer. When ready to eat, wrap a frozen muffin in a moist paper towel and microwave for 1 minute. Continue to nuke in 20-30 second intervals until warmed through. There’s great news for those of us who can’t quite pull off a warm, delivered meal right now for a friend in need. A frozen meal can warm the heart just as much as a warm one! I hope you find freezer meal cooking as helpful to your family and others in need as we have. Find over 60 more of my favorite freezer-friendly recipes here. Rachel is a stay-at-home mom of three very opinionated passionate little people who keep her on her toes at all times; a blogger at Thriving Home; and the part-time Family Events Director at her church. Her husband affectionately coined the nickname “ferdie” for her: (n) a foodie nerd. Rachel can frequently be found with her nose in a cook book or magazine, sneaking in a Food Network show while folding laundry, or destroying the kitchen while tweaking recipes to make them healthier for her family. Find all of her healthy, family-friendly recipes here.